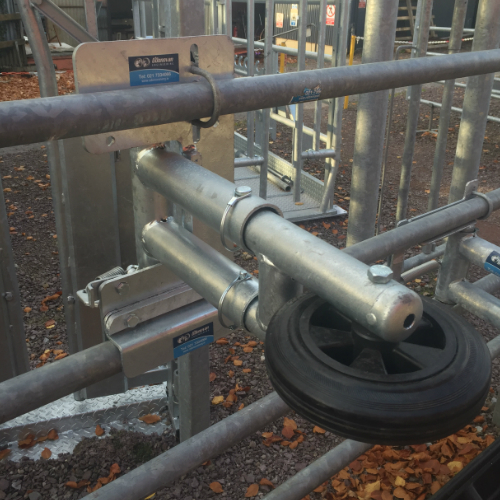 The Universal Anti-Backing Gate is the newest addition to our crush range. This anti-backing gate is very similar to our standard anti-backing gate that just fits ODEL crush panels. 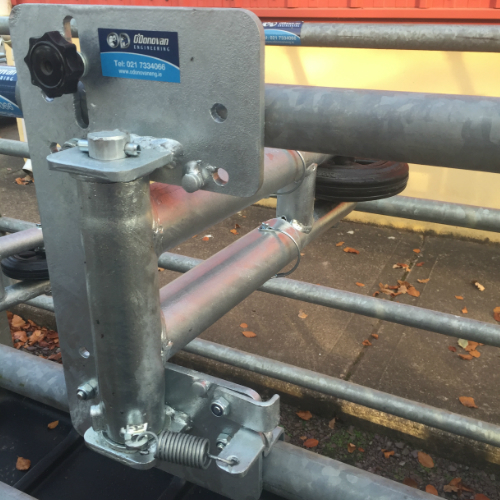 The universal anti-backing bar will fit on a crush with 48OD or 60OD pipe. 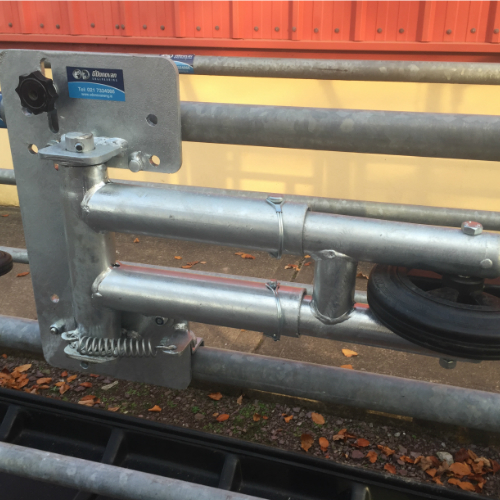 If you have a 48OD pipe this anti-backing gate will facilitate for a space between 218mm – 337mm and with 60OD pipe it will accommodate a width of 218mm – 325mm. It can be fitted to either side of a crush depending on what way your crush is running by simply turning it upside-down. 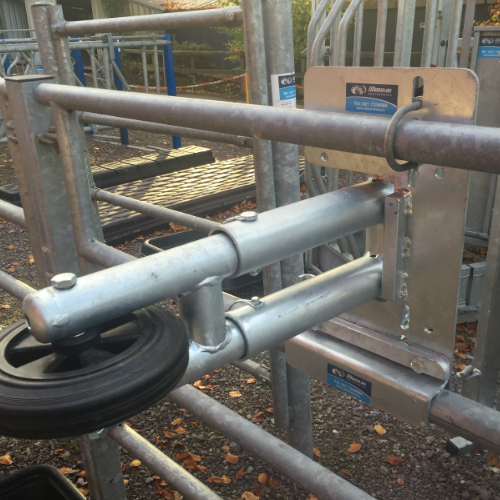 The universal anti-backing gate is telescopic which means it will suit a wide or narrow crush. 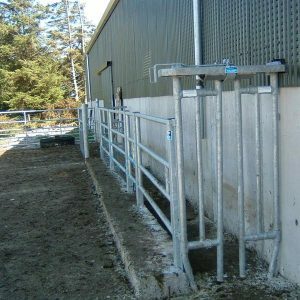 This simple gate is spring loaded and can be quickly fitted to a crush with a U-bolt. 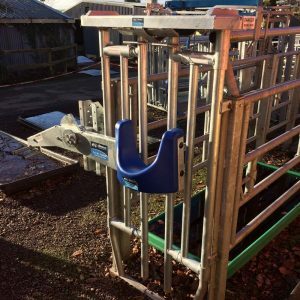 This u-bolt has an adjustable handle for ease of loosening to allow you slide the gate up and down the crush. 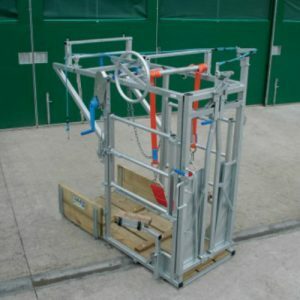 The universal anti-backing gate has a unique feature of a lock open facility which is not in our standard anti-backing gates. 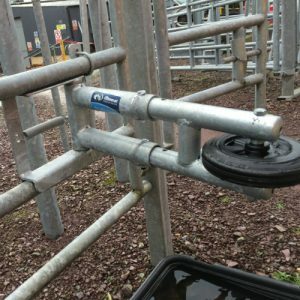 The wheel allows the cow to pass up the race easier without the bar digging into their side. 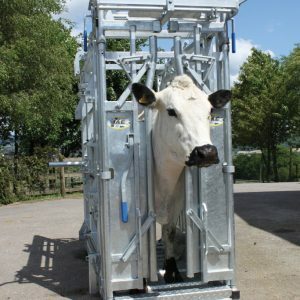 This will encourage the cow to pass the bar with less stress. 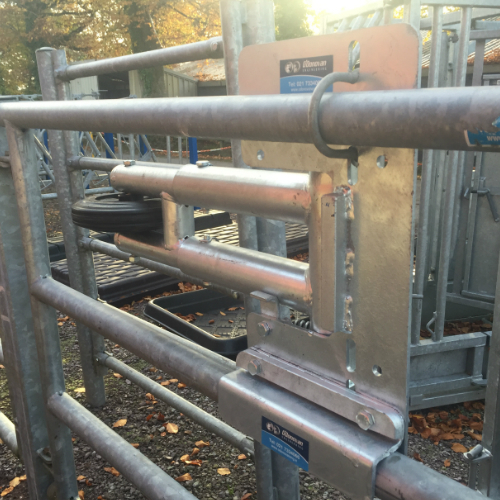 The Universal Anti Backing Gate is the newest addition to our crush range. Fits most crush panels on the market. Additionally, we have a couple more useful crush accessories like our Super Scoop, Hoofnack and Crush Squeeze.